It has been just over 200 miles since we last saw the running Avatar, back at Old Faithful in Yellowstone National Park. Since then, he's been proceeding generally southeast across the wastelands of Wyoming, and if you've ever been to Wyoming you know that there is an awful lot of wasteland to be crossed. 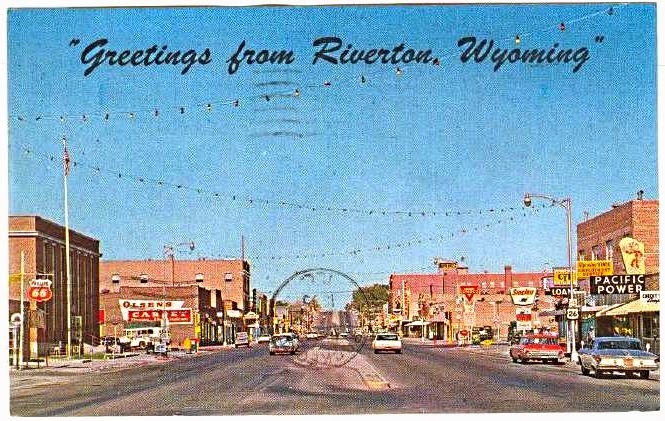 Riverton is the largest town in an agricultural oasis tucked in the valleys of the Wind River and its various tributaries. You can kind of guess how the town got its name. The Wind turns north here, eventually ducking into a canyon and changing its name to "The Bighorn" on its way north to Montana and the Missouri. 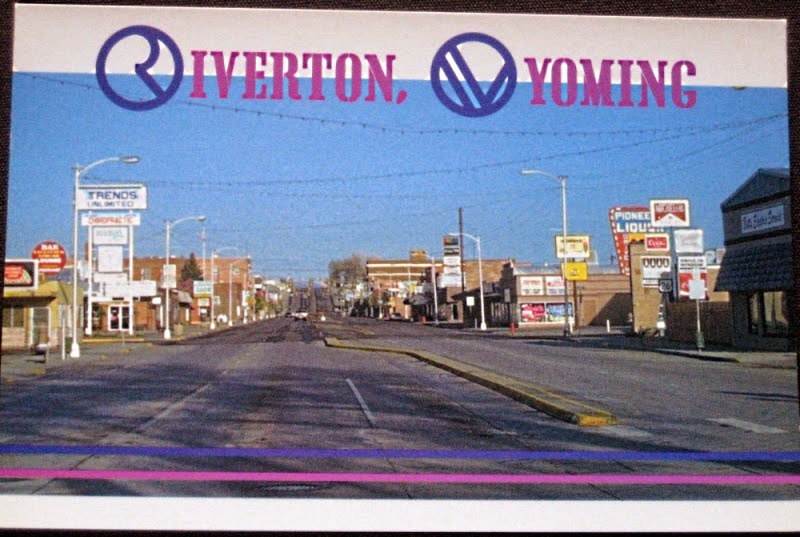 The big controversy in Riverton these days got underway when legal research conducted by the Environmental Protection Agency, of all people, revealed that, technically speaking, the town might kinda sorta be part of the Wind River Indian Reservation. Awkward! Outside of some gallery space at the local community college, there doesn't seem to be a real arts mecca, so the Avatar just ran around checking out the town and being happy to be in the largest place he's seen since Moscow, Idaho. 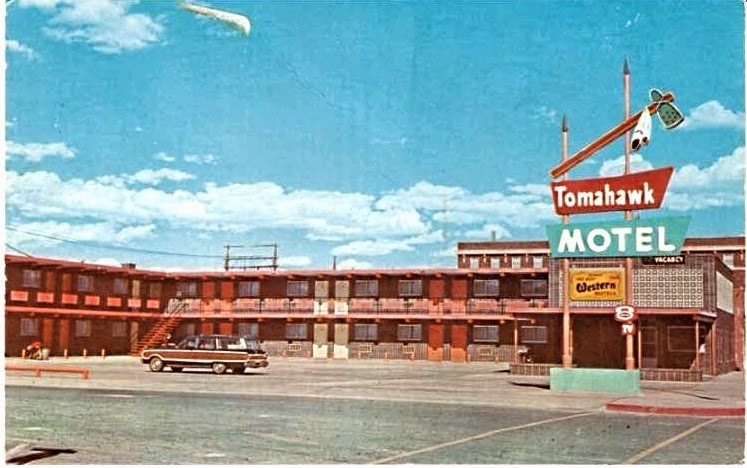 The first night in town, he stayed at the Day's Inn, but he has since moved on to the Tomahawk, which is really more our style. We only regret that the sign shown here has been replaced by something a bit less fabulous. The Avatar entered Wyoming in Yellowstone Park, turned south into Teton National Park, and then turned east of southeast on U.S. Highway 26. 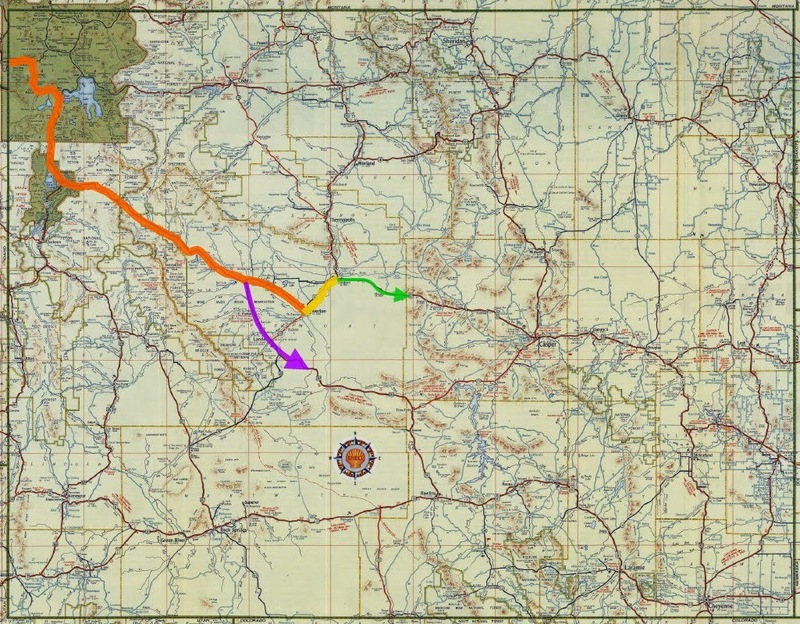 The original plan was to veer off southward toward Lander and then towards Rawlins and ultimately Laramie (the purple arrow). Instead, from Riverton we'll run northeast on a rails-to-trails route (shown here in yellow) and then head east (the green arrow) towards Casper and the Midwest beyond! Incidentally, if that map of Wyoming looked kind of weird to you but you can't quite figure out why, the reason is: no freeways. It's an older map than it looks. As of this post, the Avatar and me have each run exactly 500.00 miles this year, which puts us in pretty good position in our quests for the thousand-mile year. For the Avatar, it's been a whole lot of Montana and Wyoming and a little bit of Idaho. For me, in real life, it's been a whole lot of Oregon, and not much else. But this may soon change!